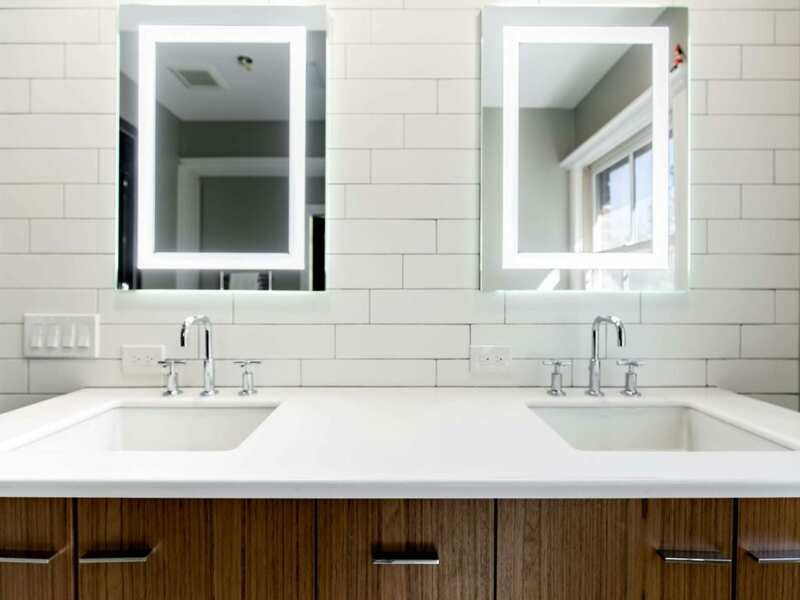 ​Renowned Renovation was awarded a master bath renovation at this lovely Tudor home in the Swiss Avenue Conservation District in Dallas, Texas. 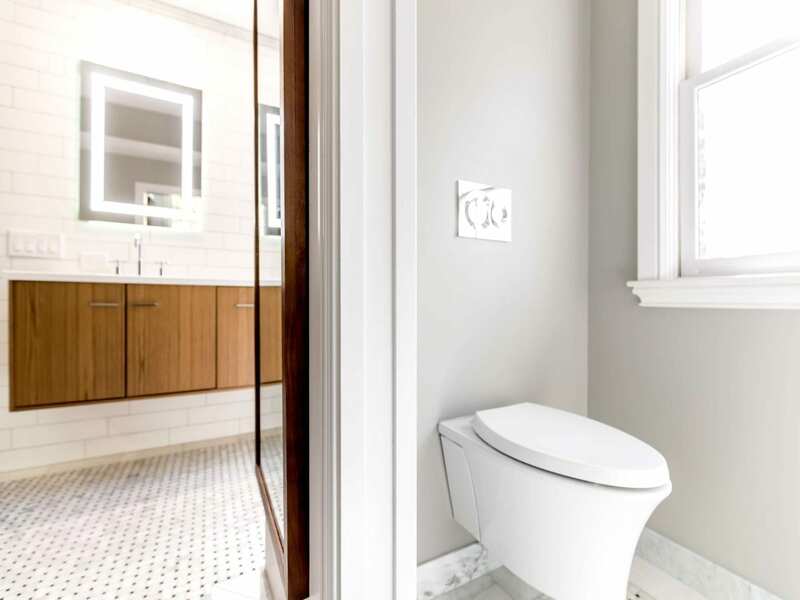 With the help of an architect, Alicia Quintans of JQAQ Atelier, this bathroom has several styles paired perfectly to obtain the elegance of the 1920's yet welcome the modern look and performance that the homeowners wanted. 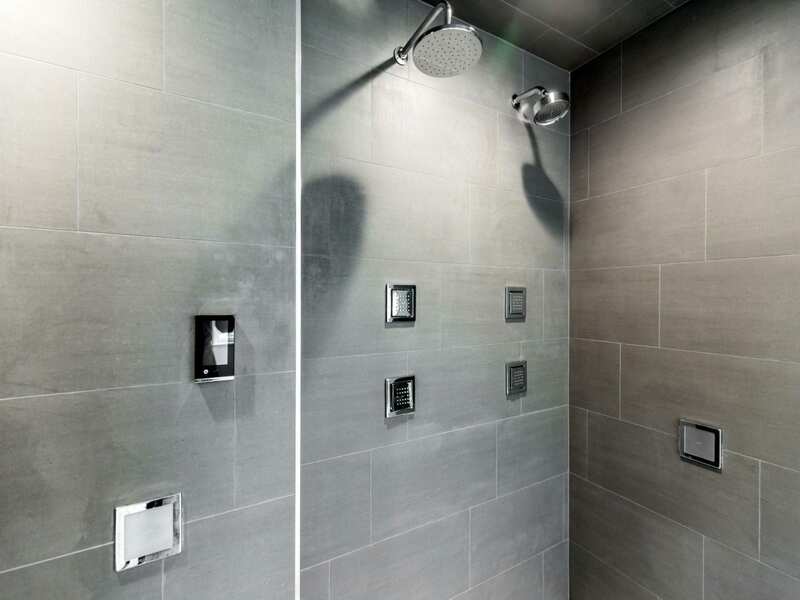 The owners wanted to create a luxurious spa experience in the privacy of their home with a soothing steam shower. 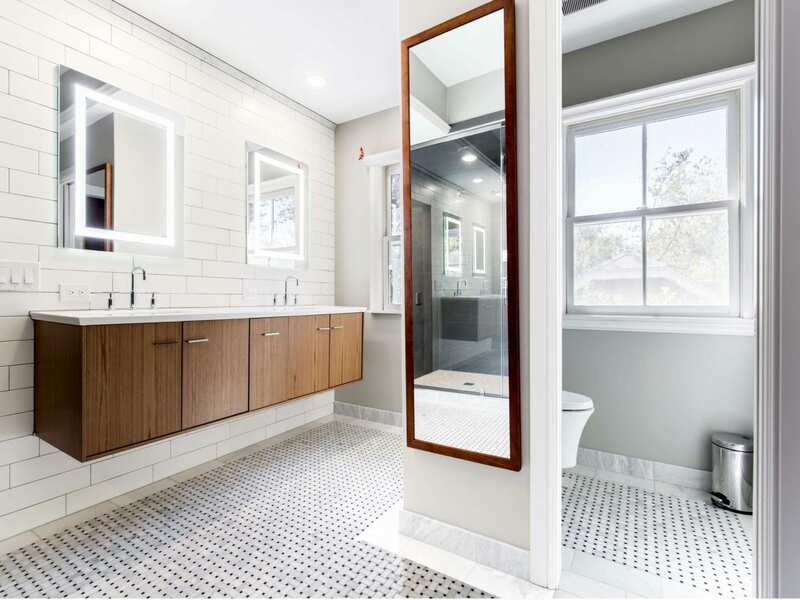 Our team installed a new shower/spa system with frameless floor-to-ceiling shower glass walls, steam accessories, new floating vanity, wall hung commode and tile. 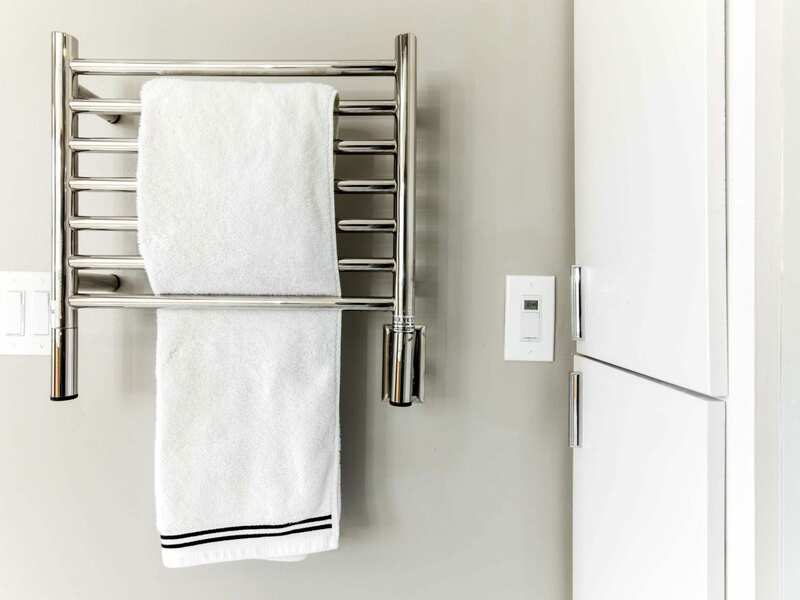 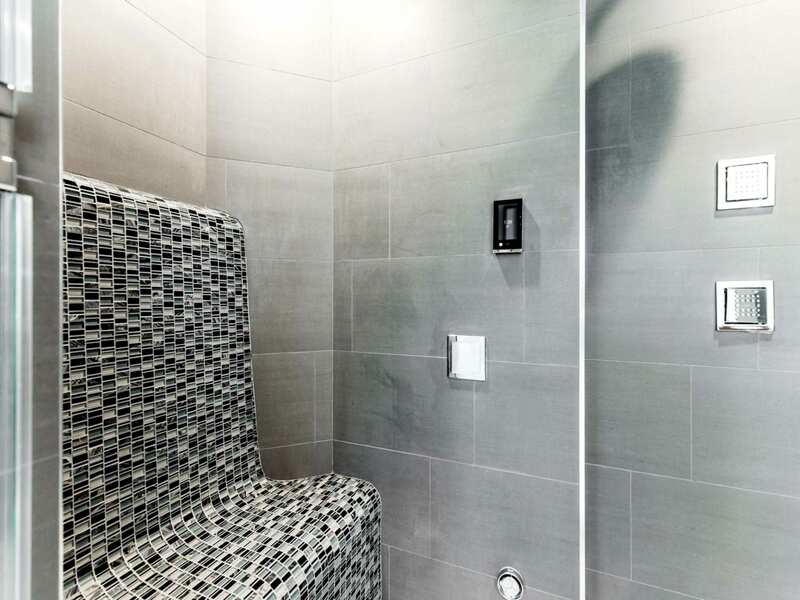 With limited space in the shower area, we got creative & built a platform above the shower to encapsulate the steam generator and thermostatic shower valve, allowing the homeowner to get the maximum storage space in the bathroom. 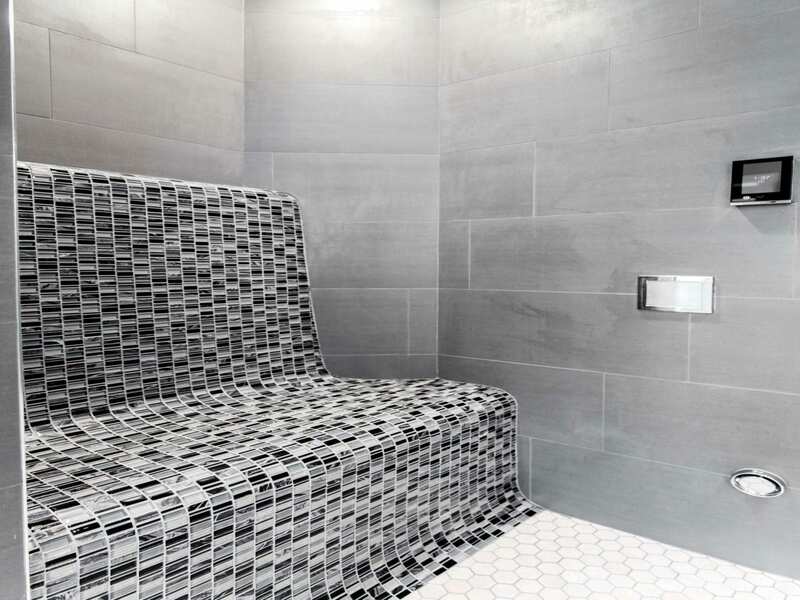 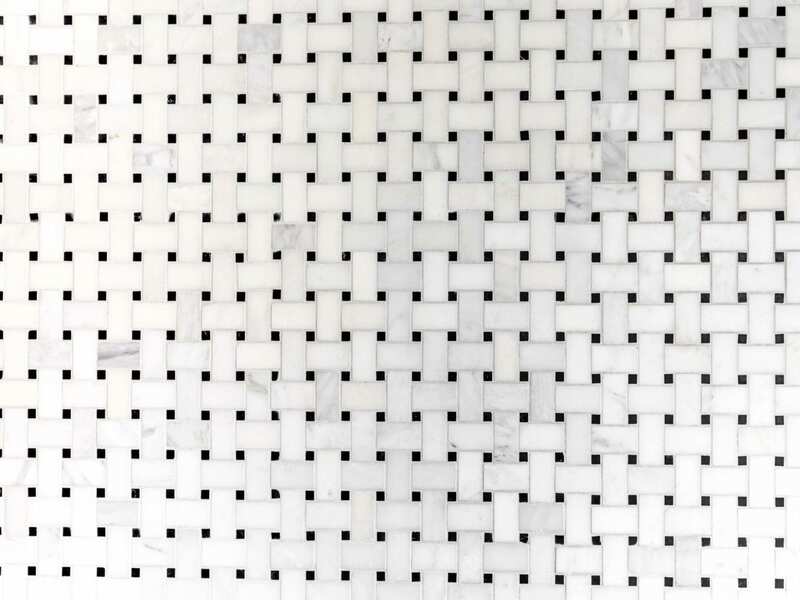 The custom curved shower bench was created with cinder blocks & mortar and tiled with glass mosaic allowing the foot of the shower-bench to transition seamlessly into the hexagon shower floor tile. 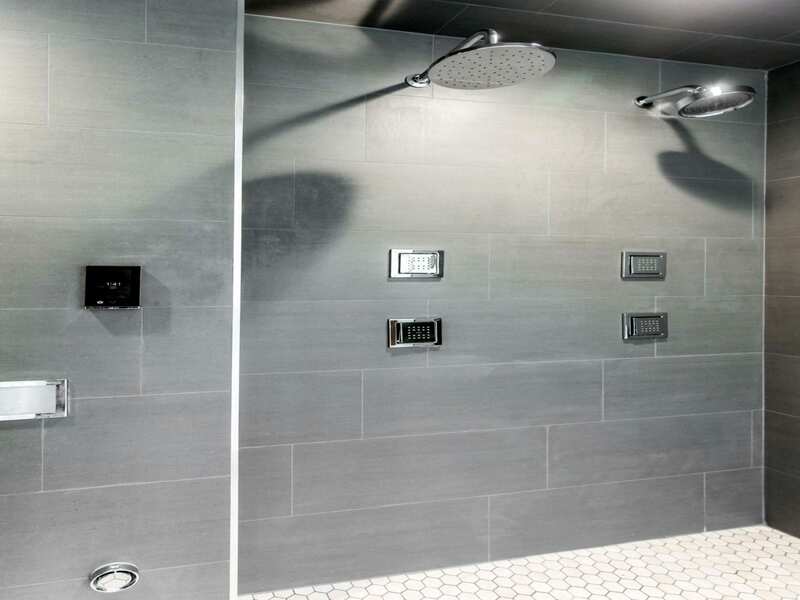 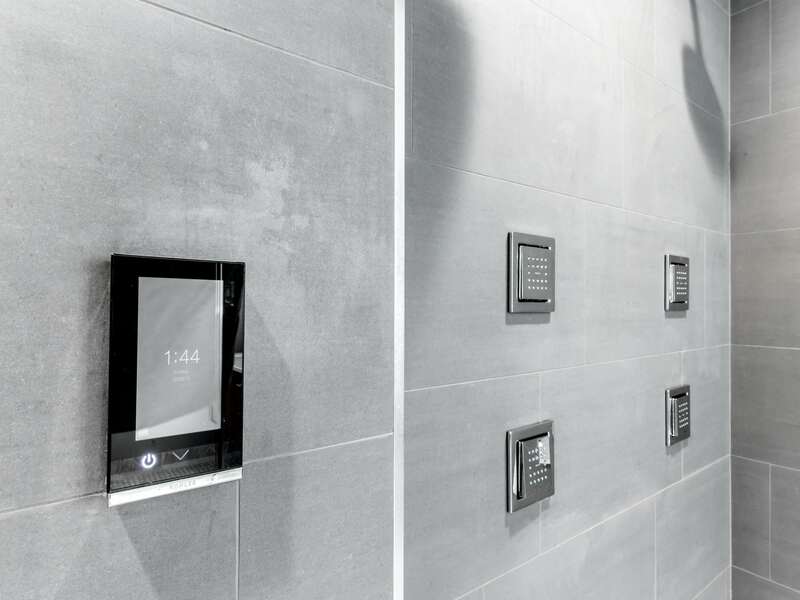 By pairing the dark matte tile for the shower walls, the homeowners are now able to enjoy an authentic spa experience in the comfort of their own home. 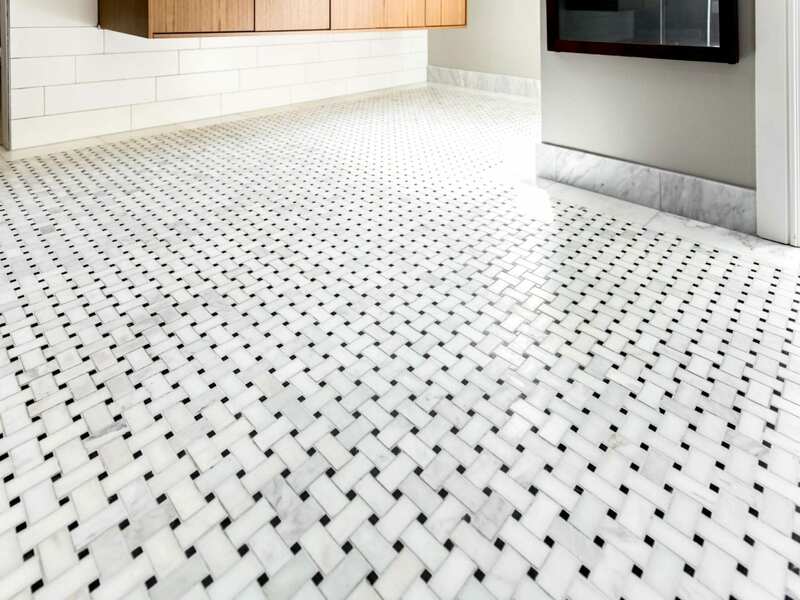 The tile choices are amazing and unique. 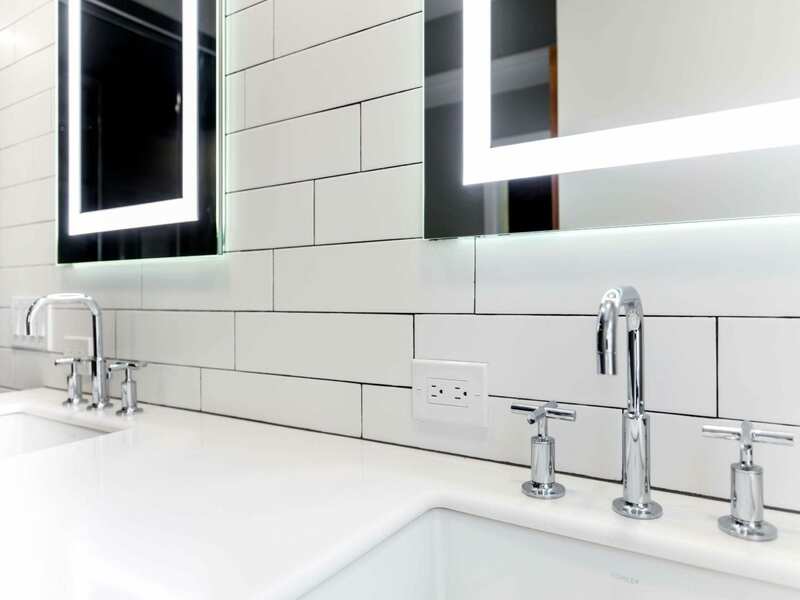 We loved the Arabascato marble tile selected for the bathroom floor and closet and the 4x12 subway tile allowing it all to flow together in perfect harmony! 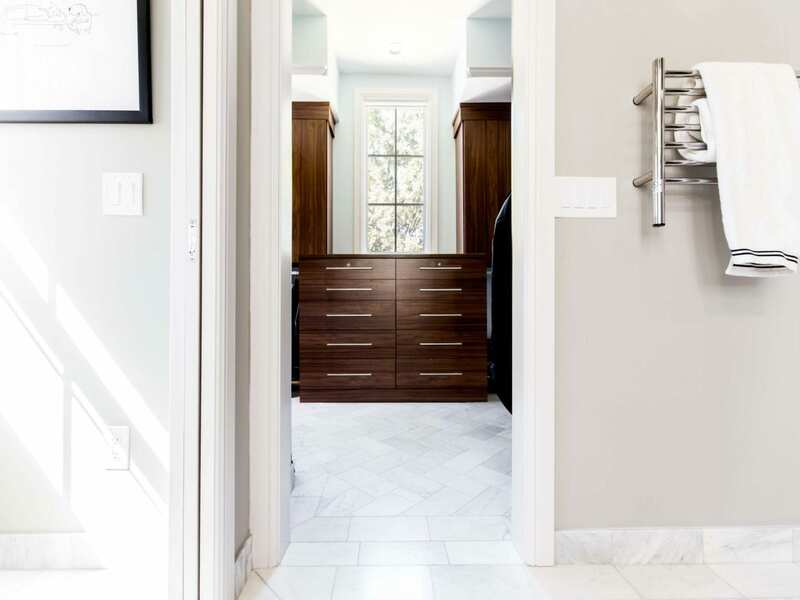 Our team installed a new shower/spa system with frameless floor-to-ceiling shower glass walls, steam accessories, new floating vanity, wall hung commode and tile.